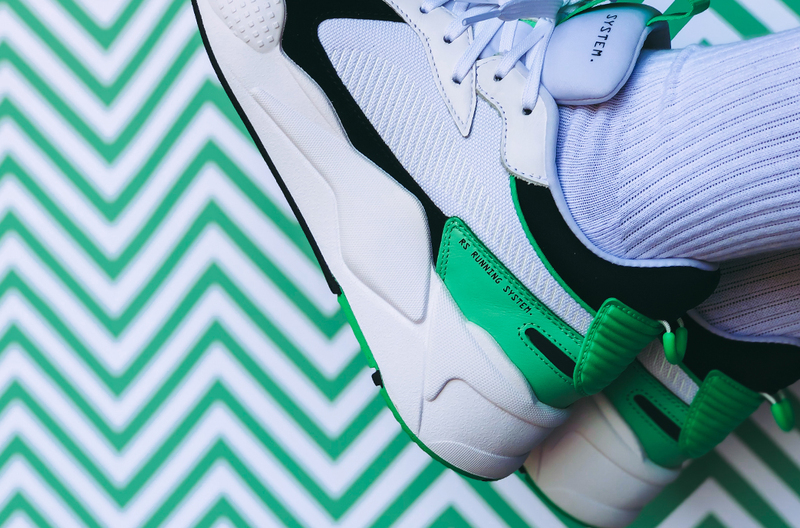 Exciting times for PUMA as they continue dropping some heat from their RS-X line – having recently released the PUMA RS-X Reinvention in a White/Irish Green color scheme, we now take a closer look at this stylish silhouette. 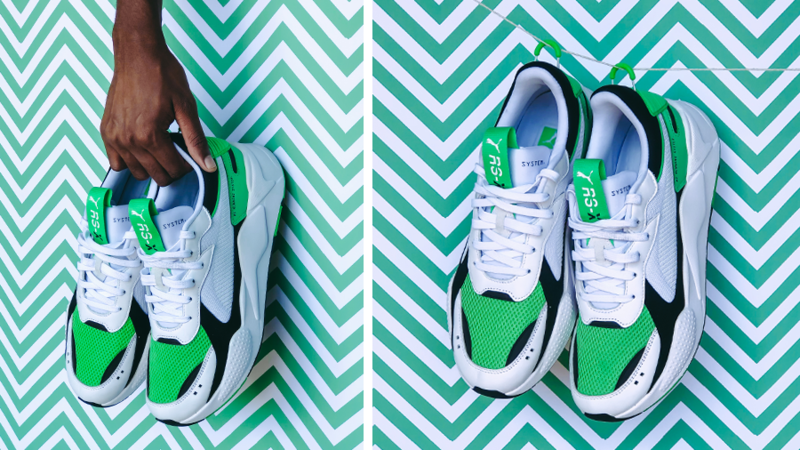 The first R-SX Reinvention sneaker released in 2018 paving the way for RS-X Toys, Hot Wheels collab amongst others. 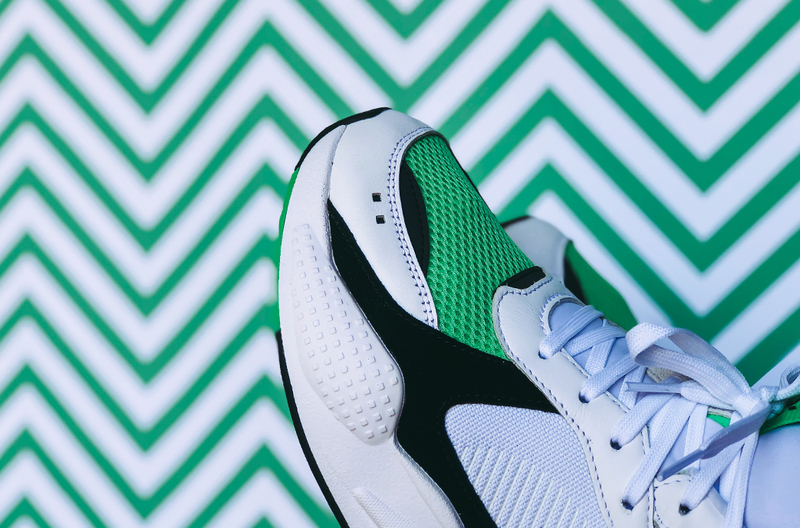 The latest PUMA RS-X Reinvention come dressed in PUMA White/ Irish Green color scheme, with a mix of materials including breathable mesh underlays, suede and leather overlays on the upper. The sneakers are fitted with a molded sock liner for added comfort, features the Running System writing on the tongue and on the side, as well as the PUMA logo on the tongue tag also inside the shoe. 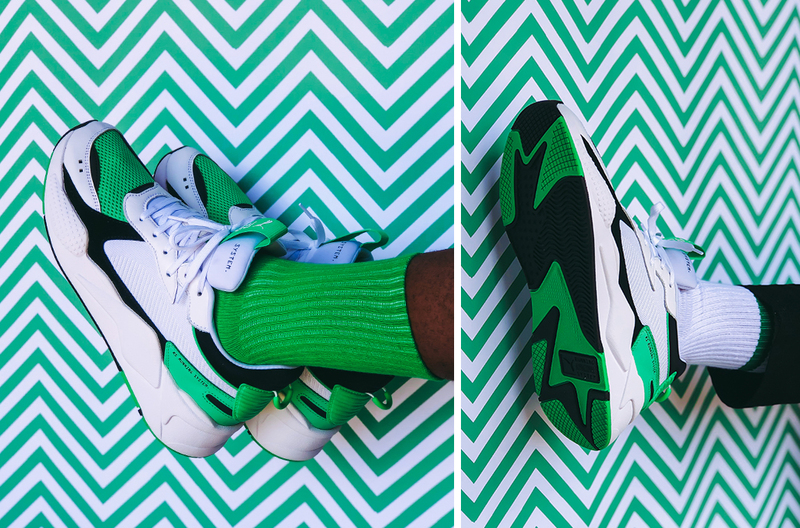 At first glance, someone would think this is some sort of a heavy sneaker, because of its chunky design and midsole. But taking that first fit the shoe is very lightweight and incredibly comfortable, think of running shoe kind of vibe. The silhouette features a mix of materials – constructed with a mesh upper for optimal airflow. 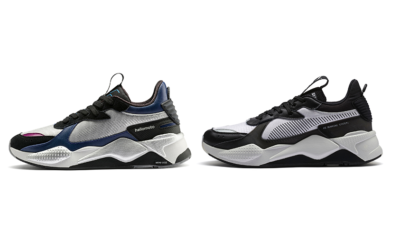 The sides as well feature the mesh material, making the sneaker very lightweight – perfect to wear for long through your day. 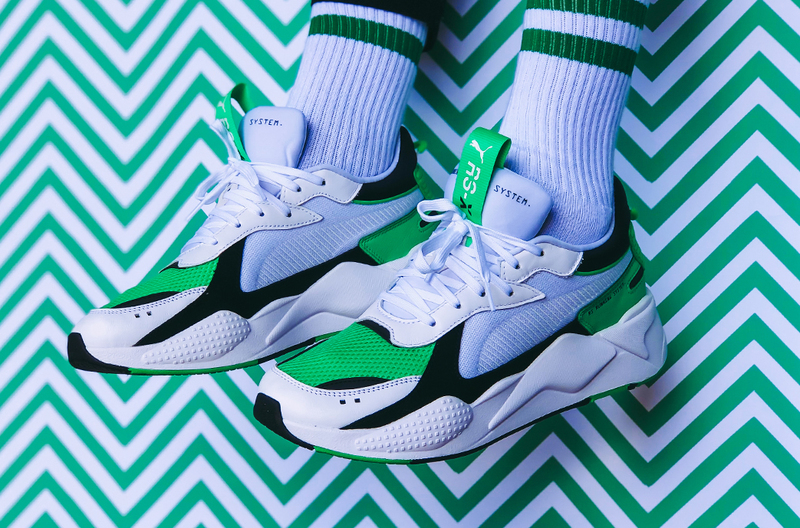 Overall, the combination of the colours Irish Green, PUMA White, and the Black really makes this a breathtaking sneaker. This would be a nice pickup if you’re looking to add some colour to your collection. Fit wise, we would recommend that you go true to size, not need to go a size up or down. 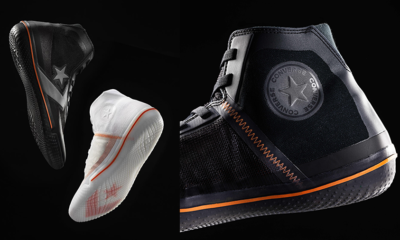 Considering that the front and the sides are mesh constructed even wide feet would fit snug, also the polyurethane cushions in the insole play a role in giving the shoes a perfect fit and extended comfort. 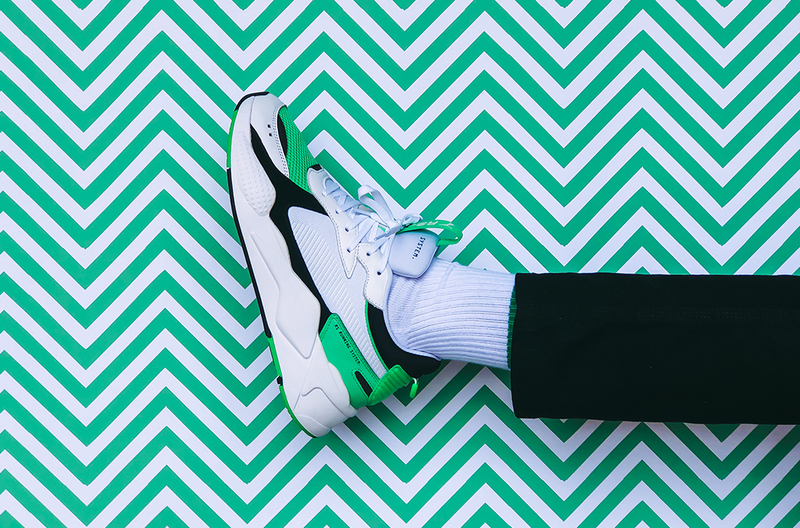 Those interested in picking up this pair can head over to PUMA SELECT stores (Joburg & Cape Town), Superbalist, Archive, and Hipkicks, where this PUMA RS-X Reinvention retails for R1,999. 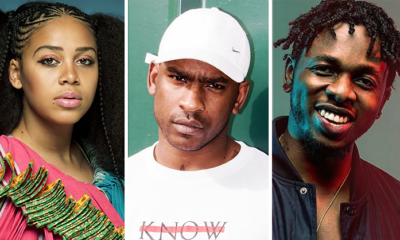 Stay tuned for more heat from PUMA as the year flows.